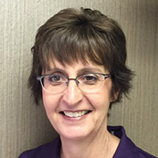 Jan has assisted Dr. Krivohlavek for almost 25 years. She is a graduate of the College of Health Careers and truly loves dentistry! Jan and her husband, Scott, have three children, Morgan, John and Anna.